2.1������ (i)�������� To carry on the business as a general commercial company and to undertake all kinds of business deemed necessary or advantageous in promoting the objects or any objects in the Company. ����������� (ii)������� To carry on business as captive and general insurance managers, international insurance consultants, investment and fund managers, international property financiers, asset financiers and as a holding company generally. ����������� (iii)������ To buy, sell and deal in such goods and products as may be thought necessary or desirable in carrying out the Company's objects and to enter into and carry out any contract of works and to provide any service of whatsoever nature. ����������� (iv)������ To invest the funds which are held for the purpose of the trading operations referred to in paragraphs (i), (ii) and (iii) above. 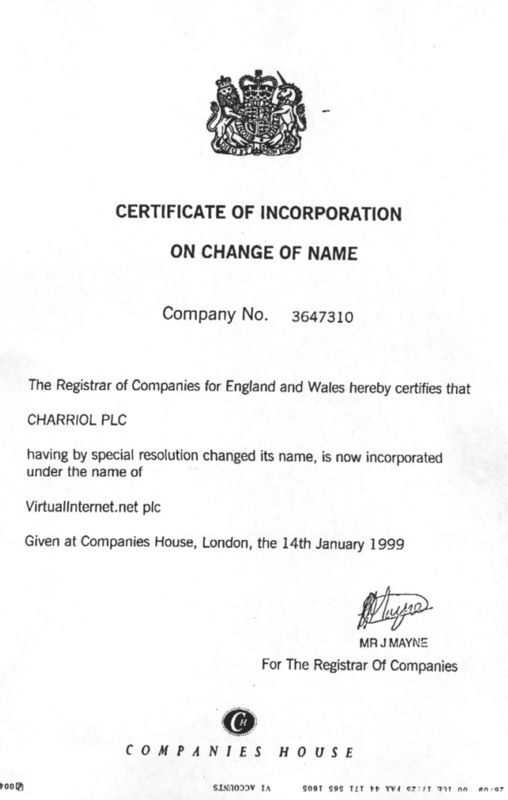 ����������� (v)������� To acquire and carry on any other business which may seem to the Company capable of being conveniently carried on in connection with the above, or which may seem calculated directly or indirectly to enhance the value of or render more profitable any of the Company's property or rights. 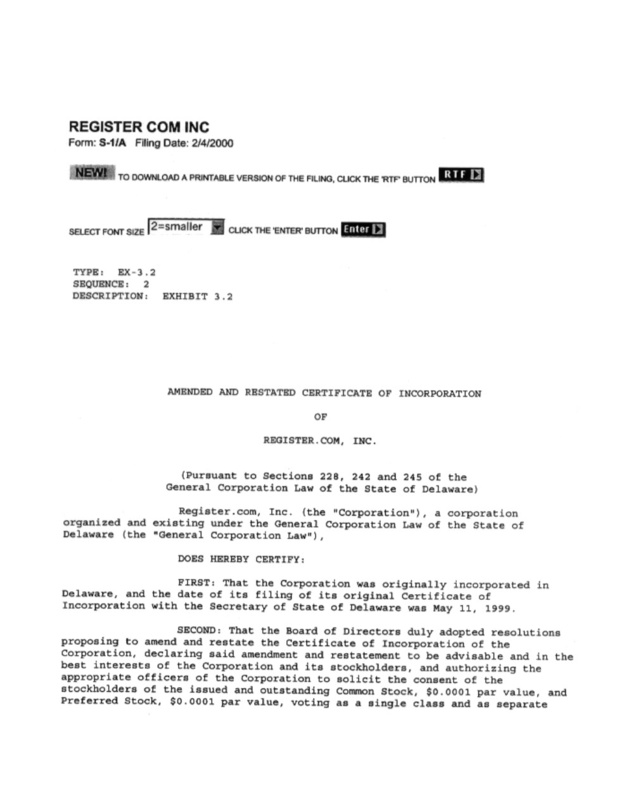 2.2������ To carry on any other business by wholesale or retail whether manufacturing or otherwise (except the issuing of policies of insurance) which may seem to the Company capable of being conveniently carried on in connection with the above, or calculated directly or indirectly to enhance the value of or render profitable any of the Company's property or rights. 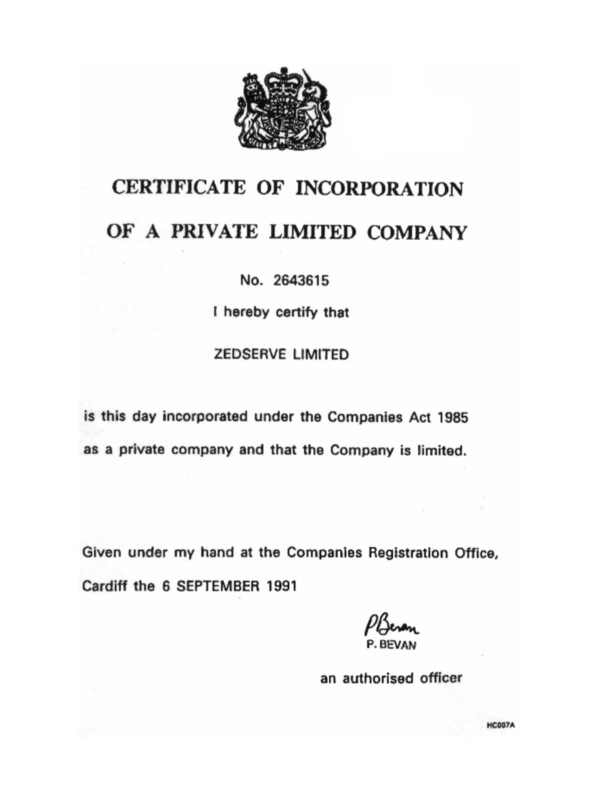 2.3������ To acquire and undertake the whole or any part of the business, property and liabilities of any person or company carrying on any business which the Company is authorised to carry on or which is capable of being conducted so as to benefit this Company directly or indirectly or which is possessed of property suitable for the purpose of this Company. 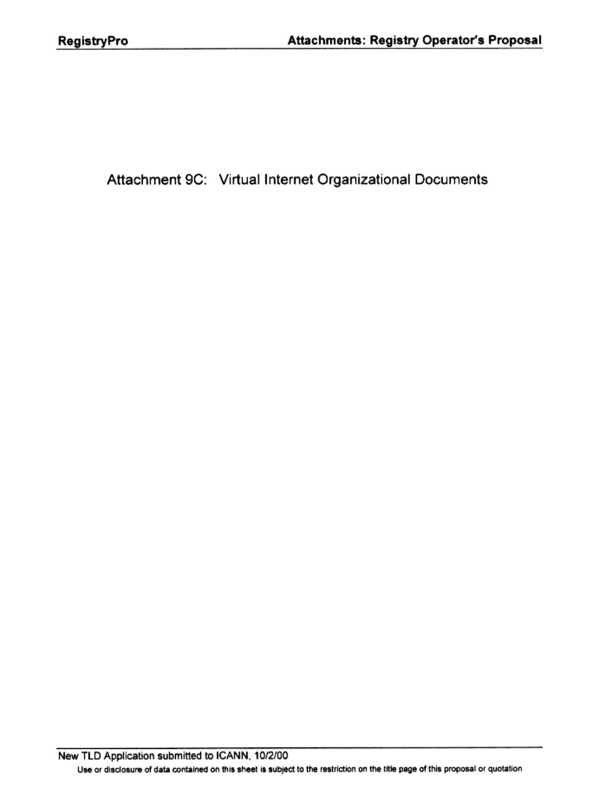 2.4������ To amalgamate with any other Company. 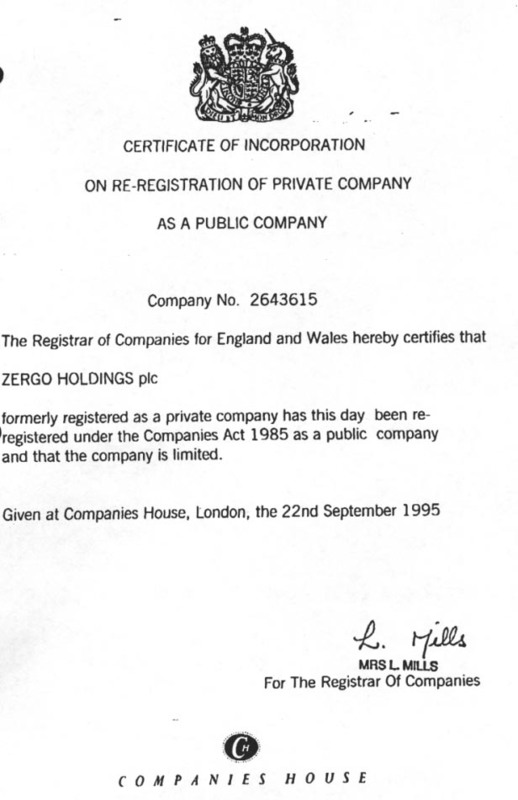 2.6������ To enter into partnership or into any arrangement for sharing profits, union of interests, co-operation, joint adventure, reciprocal concession or otherwise with any person or company carrying on or engaged in or about to carry on or engage in any business or transaction which this Company is authorised to carry on or engage in any business or transaction capable of being conducted so as directly or indirectly to benefit this Company. 2.7������ To take or otherwise acquire, and to hold shares and securities of any company and to sell, hold, re-issue with or without guarantee or otherwise deal with the same. 2.8������ To enter into any arrangement with any government or authority, supreme, municipal, local or otherwise that may seem conducive to the Company's objects or any of them and to obtain from any such government or authority any rights, privileges and concessions which the company may think it desirable to obtain, and to carry out, exercise and comply with any such arrangements, rights, privileges and concessions. 2.9������ To establish and maintain or procure the establishing and maintenance of any contributory and non-contributory pension or superannuation funds for the benefit of, and to give or procure the giving of donations, gratuities, pensions, allowances or emoluments to any persons who are or were at any time in the employment or service of the Company or any company which is a subsidiary of the Company or is allied to or associated with the Company or with any such subsidiary, or who are or were at any time Directors or officers of the Company or of any such other company or aforesaid, or any persons in whose welfare the Company or any such other company as aforesaid is or has been at any time interested and the wives, widows, families and dependants of any such persons, and also to establish and subsidise or subscribe to any institutions, associations, clubs or funds calculated to be for the benefit or to advance the interest and well being of the Company or of any other such company as aforesaid or of any such persons as aforesaid, and to make payments for or towards the insurance of any such persons as aforesaid and to subscribe or guarantee money for charitable or benevolent objects or for any exhibition or for any public, general or useful object, and to do any of the matters aforesaid either alone or in conjunction with any such other company as aforesaid. 2.10���� To promote any company or companies for the purpose of acquiring all or any of the property and liabilities of this Company or for any other purpose which may seem directly or indirectly calculated to benefit this Company. 2.11���� Generally to purchase, take on lease or in exchange or otherwise acquire any real and personal property and rights or privileges. 2.12���� To develop and turn to account any land acquired by the Company or in which it is interested, and in particular by laying out and preparing the same for building purposes, constructing, altering, pulling down, decorating, maintainment, fitting up and improving buildings and conveniences, and by planting, paving, draining, farming cultivating, letting on building lease or building agreement and by advancing money to and entering into contracts and arrangements of all kinds with builders, tenants and others. 2.13���� To construct, maintain and alter any buildings or works necessary or convenient for any of the purposes of the Company or for the benefit of its employees. 2.14���� To lend money to such persons or companies either with or without security and upon such terms as may seem expedient, and in particular to customers and others having dealings with the Company. 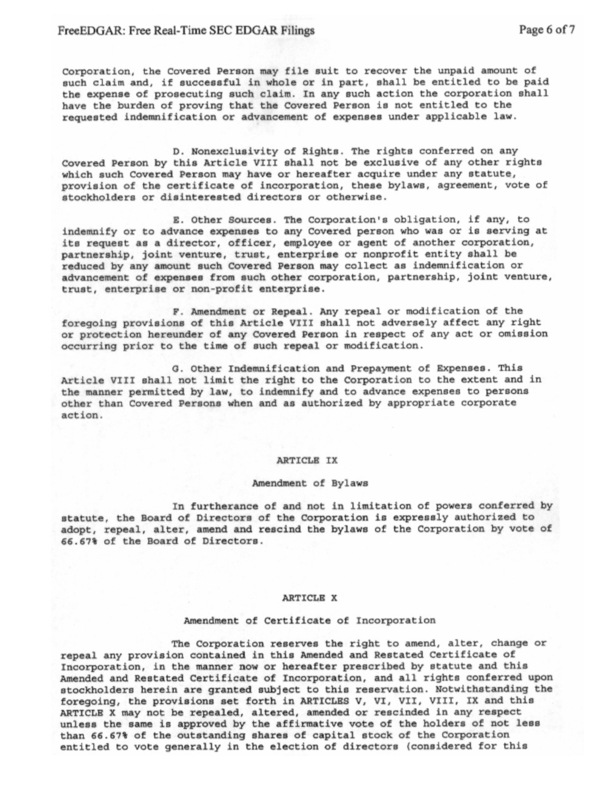 2.15���� To guarantee, support or secure, whether by personal covenant or by mortgaging or charging all or any part of the undertaking, property and assets (present or future) and uncalled capital of the Company, or all such methods, the performance of the obligations of and the repayment or payment of the principal amounts and interest of any person, firm dividends or interest of any securities, including (without prejudice to the generality of the foregoing) and company which is the Company's holding company or a subsidiary or associated company. 2.16���� To borrow or raise or secure the payment of money in such manner as the Company shall think fit, and in particular by the issue of debentures or debenture stock, perpetual or otherwise, charged upon all or any of the Company's property, both present and future, including its uncalled capital, and to purchase, redeem or pay off any such securities. 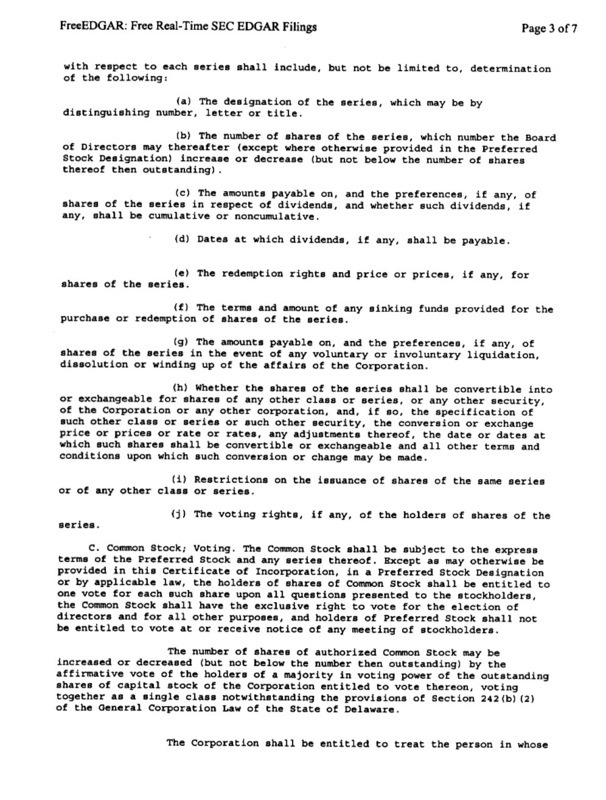 2.17���� To remunerate any person or company for services rendered or to be rendered in placing or assisting to place or guaranteeing the placing of any of the shares in the Company's capital or any debentures, debenture stock or other securities of the Company or in or about the formation or promotion of the Company or the conduct of its business. 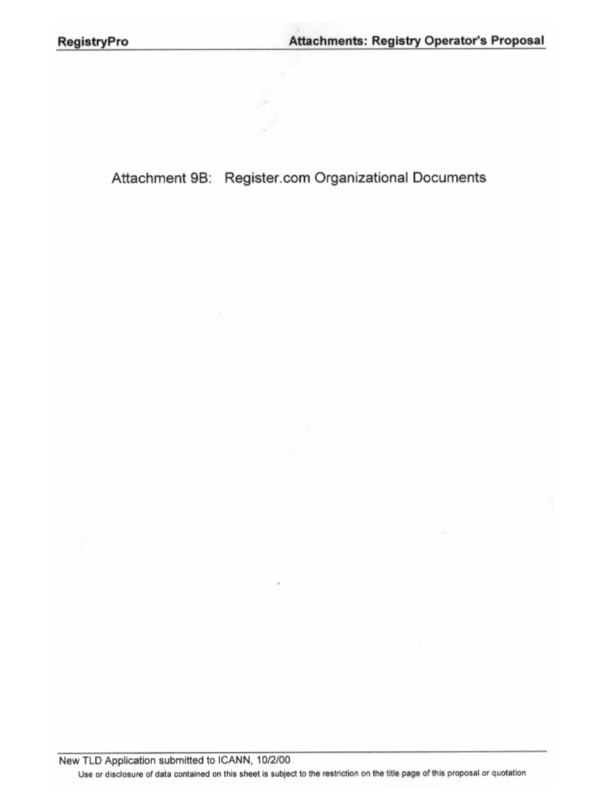 2.18���� To draw, make, accept, endorse, discount, execute and issue promissory notes, bills of exchange, bills of lading, warrants, debentures, letters of credit and other negotiable or transferable instruments. 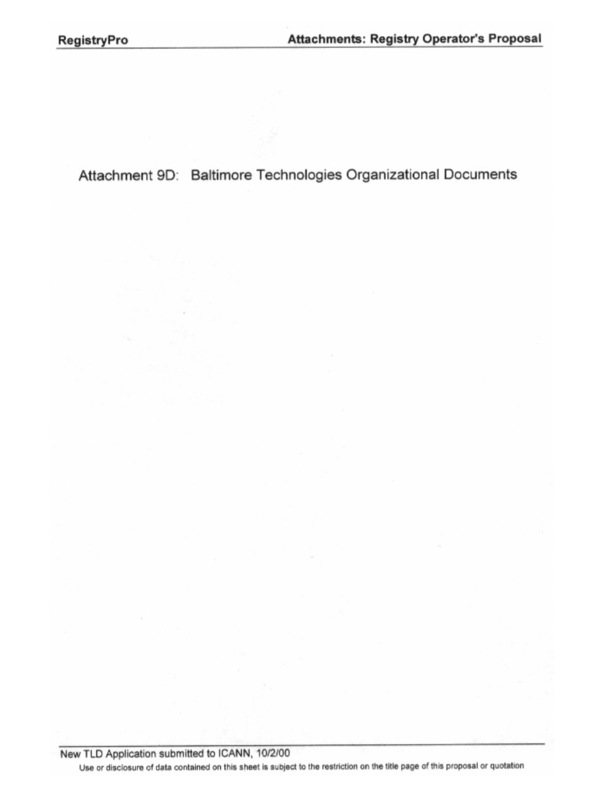 2.19���� To undertake and execute any trusts the undertaking whereof may seem desirable, whether either gratuitously or otherwise. 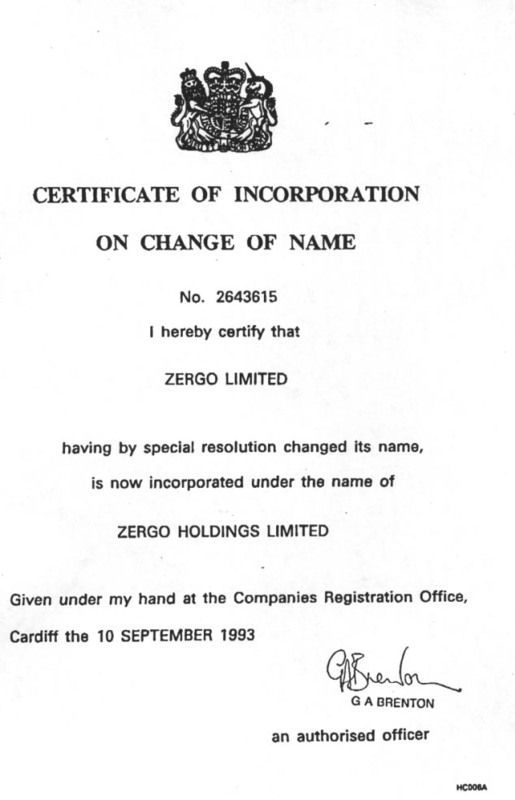 2.20���� To sell or dispose of the undertaking of the Company or any part thereof for such consideration as the Company may think fit, and in particular for shares, debentures, or securities of any other company having objects altogether or in part similar to those of this Company. 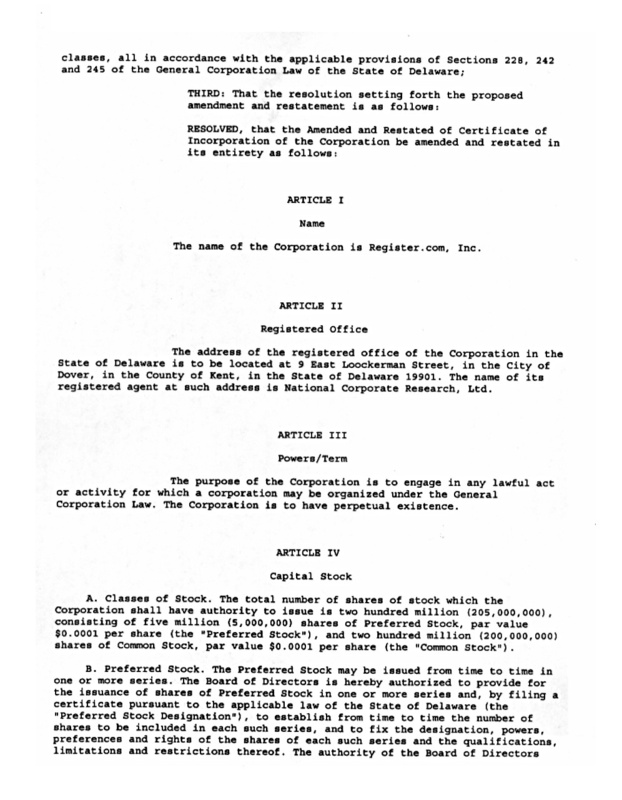 2.21���� To adopt such means of making known the products of the Company as may seem expedient, and in particular by advertising in the press, by circulars, by purchase and exhibition of works of art or interest, by publication of books and periodicals, and by granting prizes, rewards and donations. 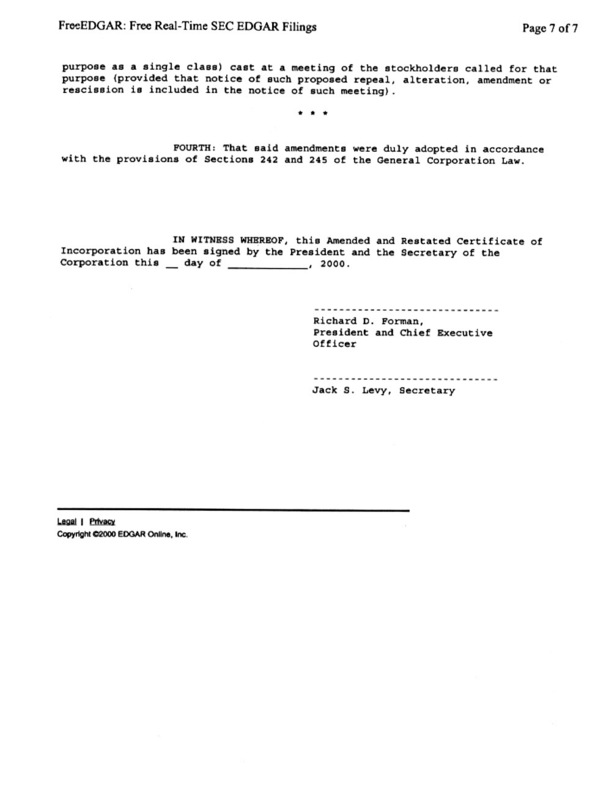 2.22���� To obtain any provisional Order or Act of the Oireachtas for enabling the Company to carry any of its objects into effect or for effecting any modification of the Company's constitution or for any other purpose which may seem expedient, and to oppose any proceedings or application which may seem calculated directly or indirectly to prejudice the Company's interests. 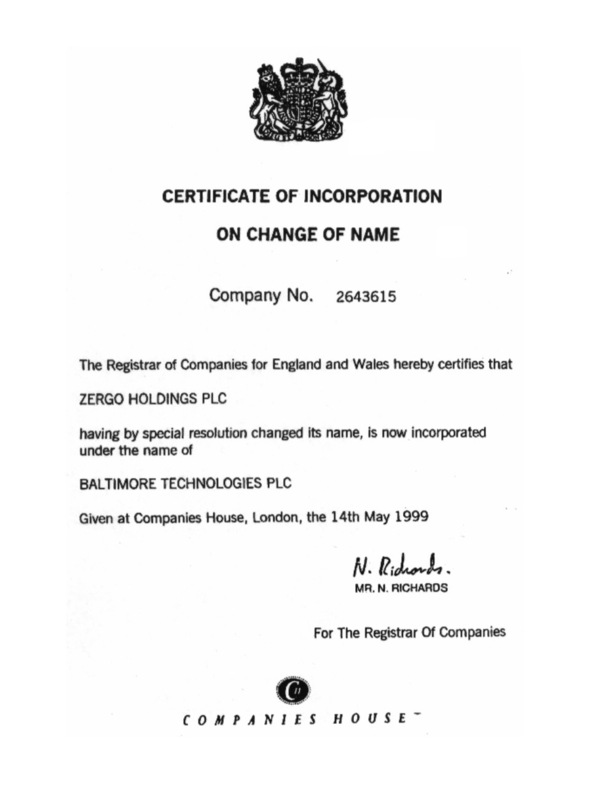 2.23���� To procure the Company to be registered or recognised in any country or place. 2.24���� To sell, improve,� manage, develop, exchange, lease, mortgage, enfranchise, dispose of, turn to account or otherwise deal with all or any part of the property and rights of the Company. 2.25���� To promote freedom of contract and to resist, insure against, counteract and discourage interference therewith, to join any lawful Federation, Union or Association, or do any other lawful act or thing with a view to preventing or resisting directly or indirectly any interruption of or interference with the Company's or any other trade or business, or providing or safeguarding against the same, or resisting or opposing any strike movement or organisation which may be thought detrimental to the interests of the Company or its employees, and to subscribe to any association or fund for any such purposes. 2.26���� To do all or any of the above things in any part of the world as principals, agents, contractors, trustees, or otherwise and by or through trustees, agents or otherwise and either alone or in conjunction with others. 2.27���� To distribute any of the property of the Company in specie among the members. 2.28���� To do all such other things as the Company may think incidental or conducive to the attainment of the above objects or any of them. 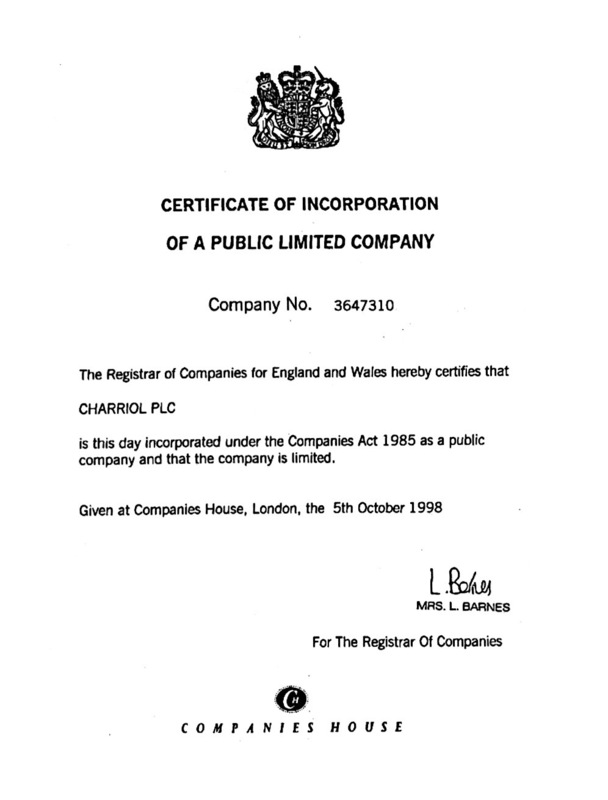 ����������� NOTE: It is hereby declared that the words "Company" in this Clause (except where it refers to this Company) shall be deemed to include any partnership or other body of persons, whether incorporated or not incorporated and whether domiciled in the Republic of Ireland, Northern Ireland, Great Britain or elsewhere, and the intention is that the objects specified in each paragraph of this clause, shall, except where otherwise expressed in such paragraph, be in no wise limited or restricted by reference to or inference from, the terms of any other paragraph. 3.�������� The liability of the members is limited. 4.�������� The share capital of the Company is �1,000,000 divided into 1,000,000�������������� Ordinary Shares of� �1 each. 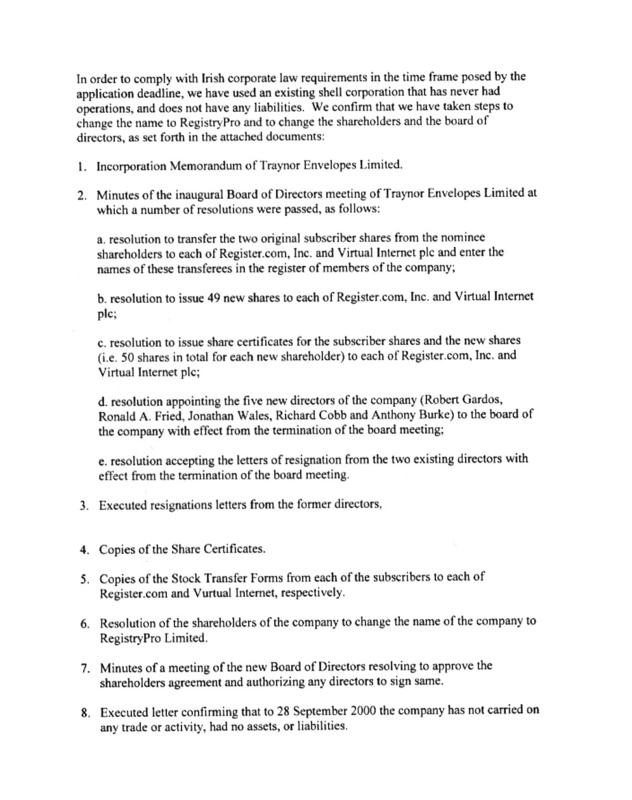 WE, the several persons whose names and addresses and descriptions are subscribed, wish to be formed into a company in pursuance of this Memorandum of Association and we agree to take the number of shares in the capital of the Company set out opposite our respective names. 1.�������� The Regulations contained in Part 1 of Table A in the First Schedule to the Companies Act, 1963 (with the exception of Regulations 8, 22, 24, 47, 51, 54, 75, 79, 84, and 86 thereof) and the Regulations contained in Part II of Table A aforesaid with the exception of Regulation 1 thereof) together with the Regulations hereinafter contained shall constitute the Regulations of the Company. 2.�������� The Instrument of Transfer of any Share shall be executed by or on behalf of the Transferor and the Transferor shall be deemed to remain the holder of the Share until the name of the Transferee is entered in the Register in respect thereof. 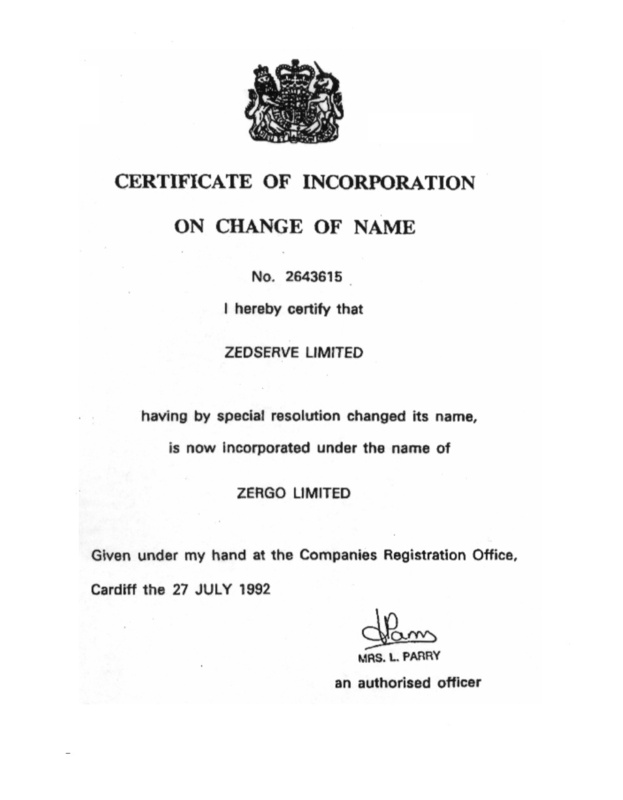 3.�������� The Directors may exercise all the powers of the Company to borrow money or to mortgage or charge its undertaking, property and uncalled Capital or any part thereof and, subject to Section 20 of the Companies (Amendment) Act 1983 to issue debentures, debenture stock or other security whether outright or as security for any debt, liability or obligation of the Company or of an third party. 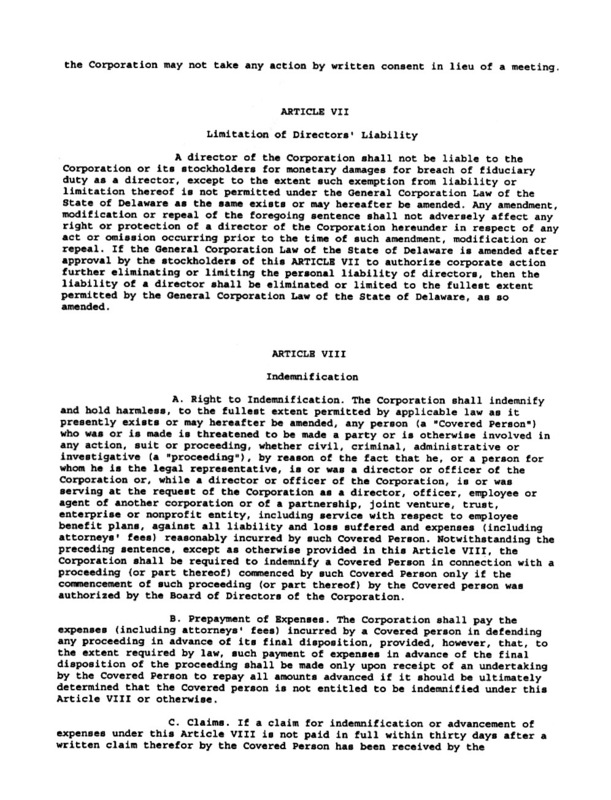 4.�������� The lien conferred by Regulation II of Part I of Table A shall attach to fully paid shares and to all shares registered in the name of any person indebted or under liability to the Company, whether he shall be the sole registered holder thereof or shall be one of several joint holders.� The costs, charges and expenses of enforcing the Company's lien in respect of any shares or share shall be a first charge on the proceeds of sale thereof. 5.�������� Any Director or member of a committee of the Board may participate in a meeting of the Directors or such committee by means of conference telephone or other means of telephone radio or televisual communication whereby all the persons participating in the meeting can hear each other and any Director or member of a committee participating in such a meeting will be deemed to be present in person at such meeting. 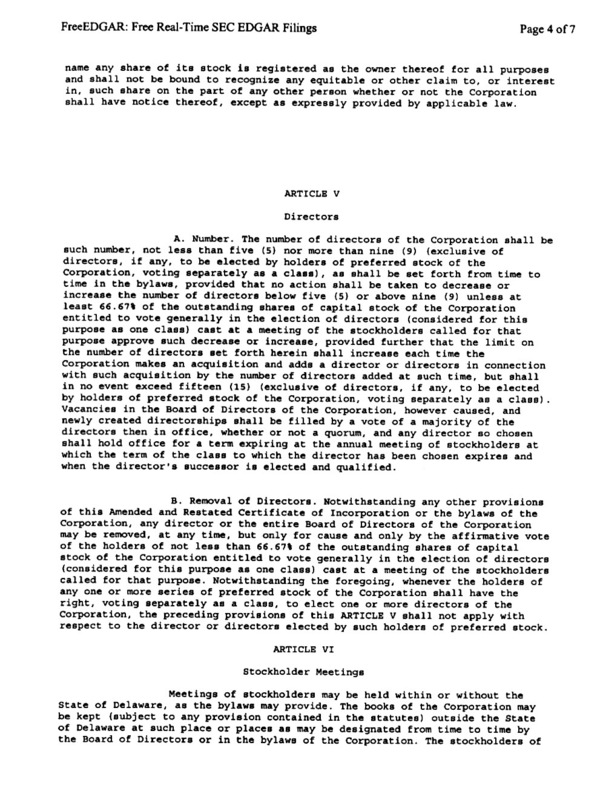 6.�������� The first Directors shall be the persons named in the Statement delivered pursuant to Section 3 of the Companies (Amendment) Act 1982 and the first Directors shall and all subsequent Directors may on appointment or re-appointment be exempt from the regulations of Table A relating to rotation of Directors. 7.�������� Unless and until otherwise determined by an ordinary resolution of the Company or by a Resolution of the Directors the number of the Directors shall not be less than 2 nor more than 10. 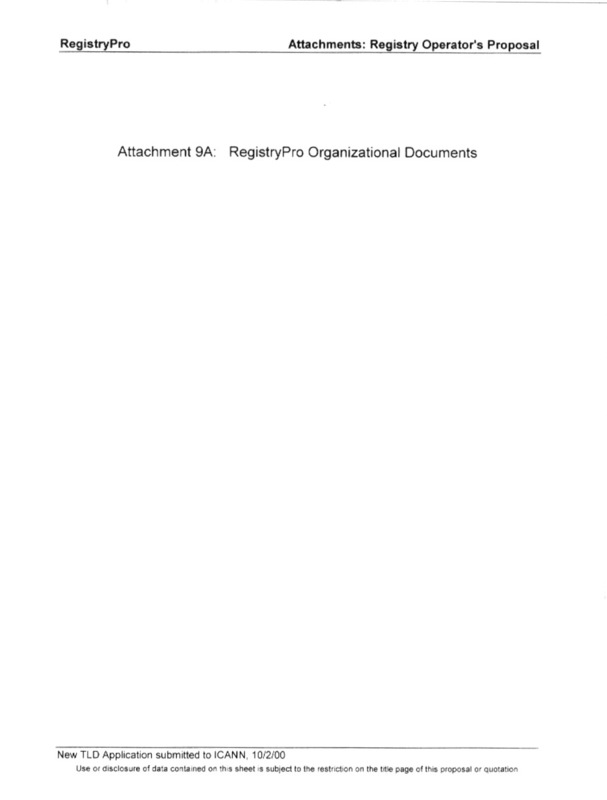 8.�������� Any such Resolution in writing as is referred to in Regulation 6 Part II of Table A may consist of several documents in the like form each signed by one or more of the members (or their duly authorised representatives) in that Regulation referred to. 9.�������� The Directors are hereby given the authority to allot relevant securities (within the meaning of Section 20 of the Companies (Amendment) Act, 1983) generally, unconditionally up to an amount equal to the authorised share capital of the Company at the date of incorporation, such authority to expire five years from the date of the incorporation of the Company. 10.������ The Directors may allot such equity securities pursuant to the authority contained in the immediately preceding Article as if Section 23(1) of the Companies (Amendment) Act did not apply to the allotment.